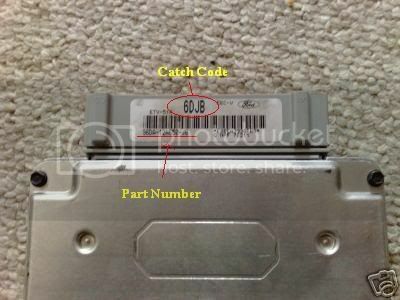 94DA-12A650-CE - THIS IS THE PART NUMBER ON MY EF AUTO FAIRMONT [OPTION 10] POLICE CAR. I have added it to one of the lists. it should be option 20 for police..
Yeah probably right ,couldn't remember if 10 or 20 picked it up from wreckers in Moe with cluster for $50 the lot. 12QB - AU series 3 xr8 manual. They are both el/xh xr6 ecu s. Just the 6taa is a manual ecu and the 6tba is a auto one. your fans are on because the auto ecu is logging a trans temp failure as there is no auto trans for it to monitor the trans temp, the fans are on as a fail safe..so yes a manual ecu would fix the issue with the fans. Wicked cheers for the information. Still trying to figure out what ecu this is from. Hopefully it a not el or something. WARB is from a series 1.5 auto ute iirc. Does your ute have the smartsheild hand on the dash but the early e series keyfob?